Located in the state of Vermont, Valley Vista is a substance abuse treatment program for women, men, and young adults dealing with substance use disorder, chemical dependence, and co-occurring mental illnesses. The programs offered at the center are gender-specific to allow for like-mindedness, reduced tension, and fewer distractions. The facility bases its philosophy on the utilization of a patient-centered approach to treatment whereby individualized and comprehensive treatment plans are designed to meet each patient’s unique needs. Upon verification of insurance, clients usually undergo an intake screening process which includes medical health history, substance use history, and behavioral health history. The facility offers a safe and intimate therapeutic environment for patients to recover. Additionally, length of stay at the facility is usually about 26-27 days across all programs although depending on the clinical needs of the patient, participants in the adult inpatient program may stay for as many as 45 days. The center offers a separate inpatient program for young adult men aged 16-22 which may last between 45-60 days. Valley Vista incorporates multiple evidence-based forms of therapy into its curriculum some of which include Cognitive Behavioral Therapy, 12-step programming, and Dialectical Behavioral Therapy. In regards to the level of care, the center offers medically-assisted treatment (MAT), an intensive outpatient program, and medically-supervised detox. The facility boasts of a well-trained, multidisciplinary professional team consisting of therapists, recovery specialists, psychiatrists, and skilled nurses. 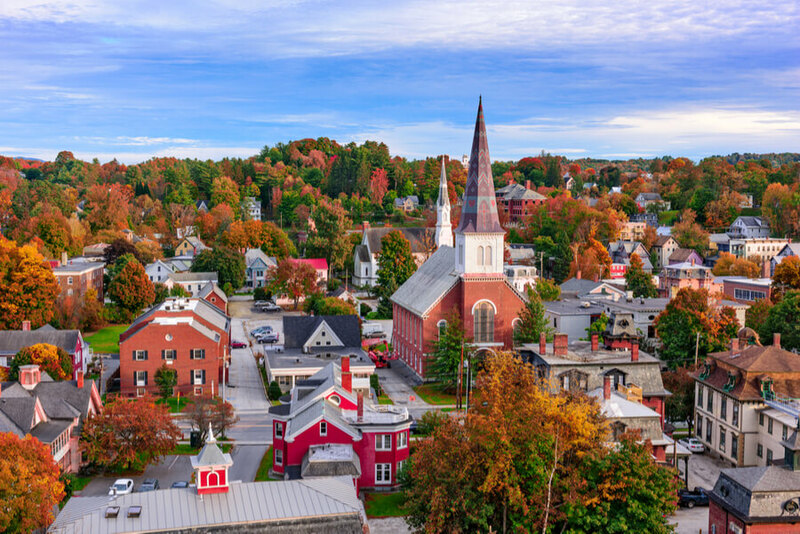 The center is a haven located in central Vermont and is nestled amidst the Green Mountains of the serene Connecticut River Valley. At the facility, 16 beds are available for adolescents aged 14-18 and 28 beds are available for adults. Sometimes, there is a waiting period for available beds which does not last for more than 10 days. The residencies have a dormitory feel, with 2-4 clients sharing a room. Group meeting rooms, a basketball and volleyball court, a small weight room, and a football field are available at the facility. Food, sharp objects, inappropriate clothing, and personal electronic devices are prohibited at the facility although clients are advised to bring a maximum cash amount of $30, personal toiletries, and appropriate clothing for the season. Laundry services are available twice a week. Residents eat cafeteria-style and a salad bar is offered at every lunch and dinner. The facility provides accommodation for special dietary needs—vegans, diabetes, and vegetarian. The facility offers three separate inpatient tracks for men, women, and young adult men (aged 16-22). Included in this program is a myriad of services including medically-supervised detox, cognitive behavioral therapy, 12-step recovery meetings, and expressive therapies. Also included in this level of care are mental health and psychiatric services provided by well-trained clinicians, weekly yoga, and recovery-focused groups. This is a support program designed to provide clients who have completed the residential program with the connections they need to maintain long-lasting sobriety. Medication-assisted treatment, peer support groups, and sober living are all parts of this stage. Valley Vista costs approximately $26,850 for a 30-day treatment at the facility but this figure is subject to change as it is highly dependent on the type of treatment required by the client. The facility is in-network with most insurance providers such as Blue Cross Blue Shield, Martin’s Point, Harvard Pilgrim, United Healthcare, Green Mountain Care, Beacon Health Options, Optum, Medicaid, Husky Healthcare, Cigna, and many more. Clients are also advised to contact the treatment center for more information regarding benefits and self-pay rates. The facility is accredited by CARF (Commission on Accreditation of Rehabilitation Facilities) and a member of the NAATP (National Association of Addiction Treatment Providers). The treatment center offers yoga and mindfulness meditation with all the programs offered at the facility as it is believed to be a very important aspect of complete rehabilitation. The facility offers programs for both genders respectively and in the women’s program, holistic therapies such as art and writing therapy are offered even dog therapy services. There are no specific designated times for exercises but the counselors and caretakers encourage clients to use the courts and field for extracurricular activities such as walking and running. Valley Vista in its entirety provides a peaceful and serene location with a small client to staff ratio making it a good choice for clients seeking treatment and complete recovery in a gender-specific environment. The offers treatment for co-occurring disorders as a plus but its main focus is on the treatment of substance abuse and clients with severe dual diagnosis might not find this facility to be the best choice. John holds a Bachelor’s degree from Pace University majoring in Business Administration with a focus in Marketing. Prior to holding the position of Marketing Director, he held the position of such as a Market Communications Consultant and Marketing Specialist. Susan holds Bachelor’s degree from Vassar College where she majored in Biopsychology and then went on to further her education by degrees from the following institutions; Tufts University School of Medicine, Stanford University School of Medicine, and then the University of California ‘s School of Medicine. Prior to holding the position of Medical Director at the facility, she served in other positions such as the Langley Porter Psychiatric Institute and as Faculty in Dartmouth College.